This entry was posted in Bible Crafts, Coloring Page, Noah, OT Crafts, Printables and tagged coloring page, dove, faithful, God, God keeps His promises, Noah, promises, rainbow, trusted. 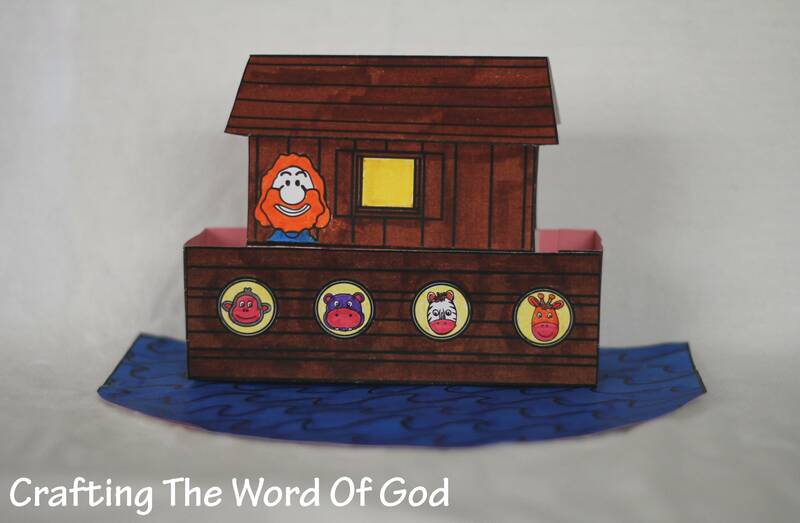 This entry was posted in Activity Sheet, Bible Crafts, Noah, OT Crafts, Printables and tagged activity sheet, animals, ark, flood, Noah, puzzle, rainbow. A great card game to help reinforce the story of Noah and the ark. Glue an ark piece to the back of every animal piece. You can have the cards assembled for your kids and then all they have to do is color them in. 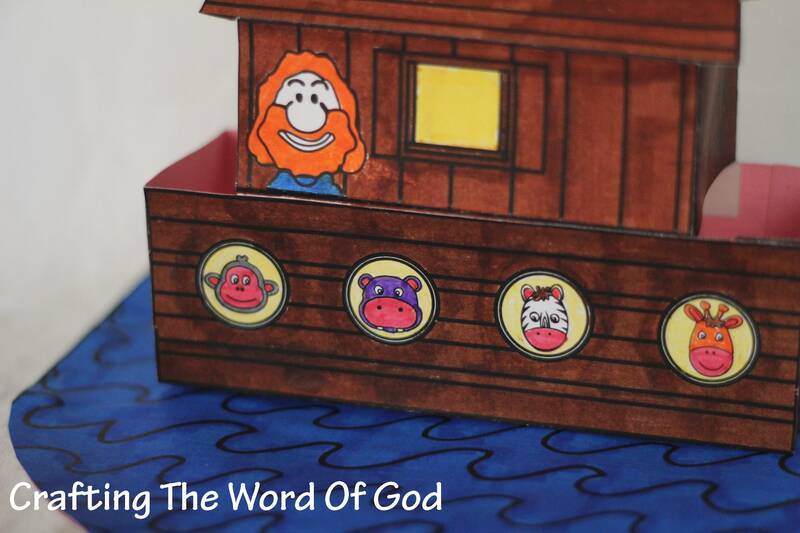 This entry was posted in Bible Crafts, Games, Noah, OT Crafts, Printables and tagged animals, ark, bible crafts, card match game, craft, crafts, flood, game, God, Noah, Noah and the ark, Noah card game, print out, printable, rain, two by two. 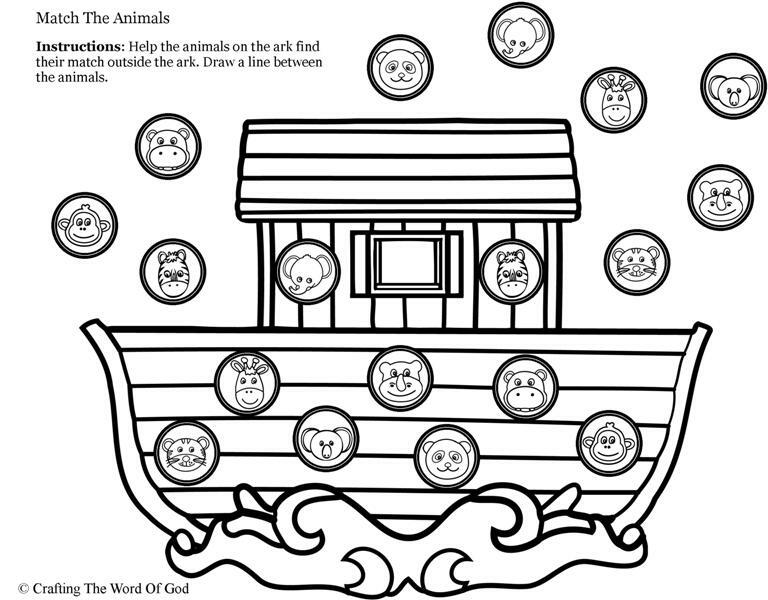 This entry was posted in Bible Crafts, Coloring Page, Noah, OT Crafts, Printables and tagged animals, ark, bible crafts, color, coloring page, craft, crafts, flood, Noah, Noah and the ark, Noahs ark, print out, printable, rainbow. 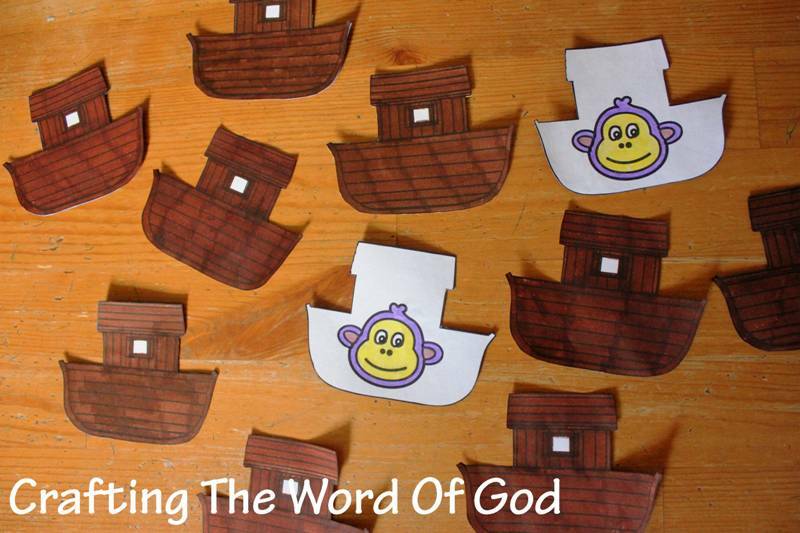 This craft will be a cute way for your kids to act out the story of Noah and the ark for themselves. Glue the ocean piece onto the edge of a paper plate. The finished ocean piece will have a straight back and a curved front. With the other two pieces (the boat pieces) fold on the solid lines and the dashed lines, creating creases. Assemble the bottom part by adding glue onto the parts marked “glue”. Assemble the top part by adding glue onto the parts marked “glue”. Finish the ark by gluing the top part to the bottom part. 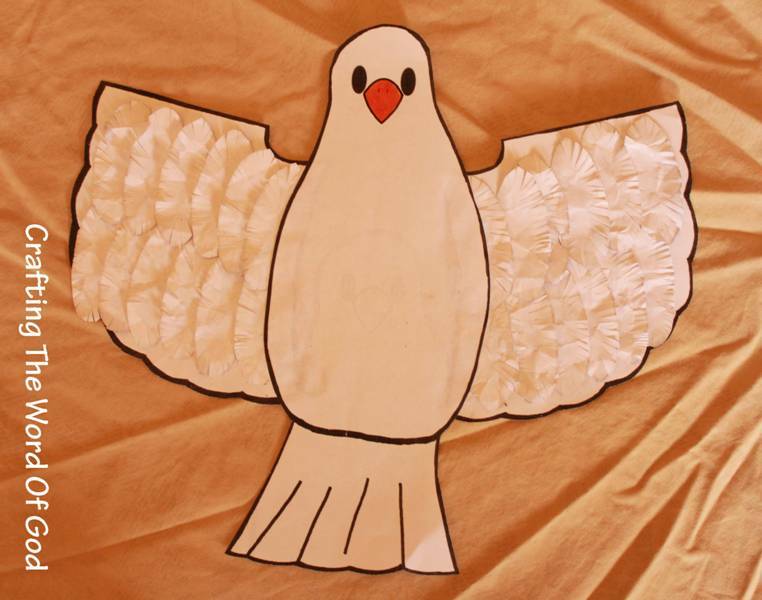 This entry was posted in Noah, OT Crafts and tagged animals, ark, bible crafts, craft, crafts, family, floating, flood, God, Noah, Noah and the ark, Noahs ark, rain, sin judgement protection, two by two. 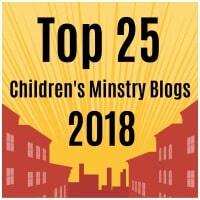 Activity sheet are a great way to end a Sunday School lesson. They can serve as a great take home activity. Or sometimes you just need to fill in those last five minutes before the end of class. This entry was posted in Activity Sheet, Noah, Printables and tagged animals, ark, bible crafts, color, coloring page, craft, crafts, flood, God, Noah, print out, printable, puzzle, puzzle sheet, two by two. One of my favorite Bible stories to make crafts for is the story of Noah’s ark, There are dozens and dozens of ideas you can play off of. The rainbow, the ark, the dove, Noah himself. Here’s a cute craft your kids will enjoy making. It will remind them of this biblical story every time they see it. Add glue to the rectangle on the rainbow. Center the ark making sure the top of the rectangle aligns with the top of the ark. Glue on the wave, then the long strip. Finally glue on the animals. You can adapt this craft any way you choose. Add glitter to the rainbow. Leave the wave off and color the long strip brown. You can use stickers or foam animals. 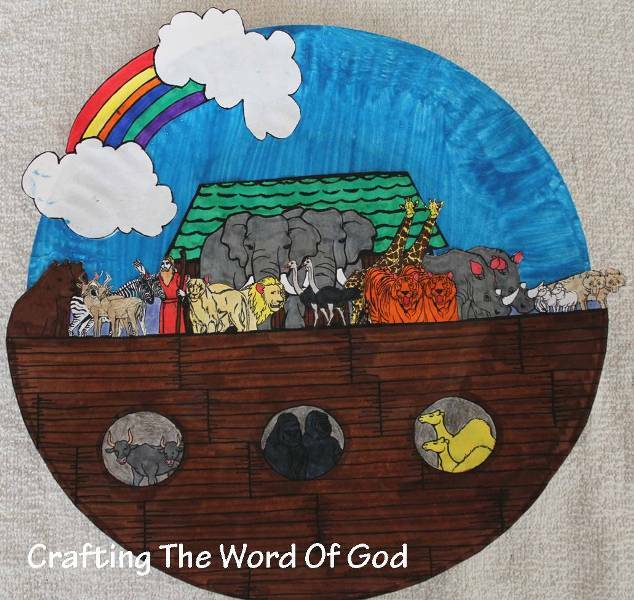 This entry was posted in Bible Crafts, Noah, OT Crafts and tagged animals, ark, bible crafts, craft, crafts, flood, God, Noah, Noahs ark, protection. 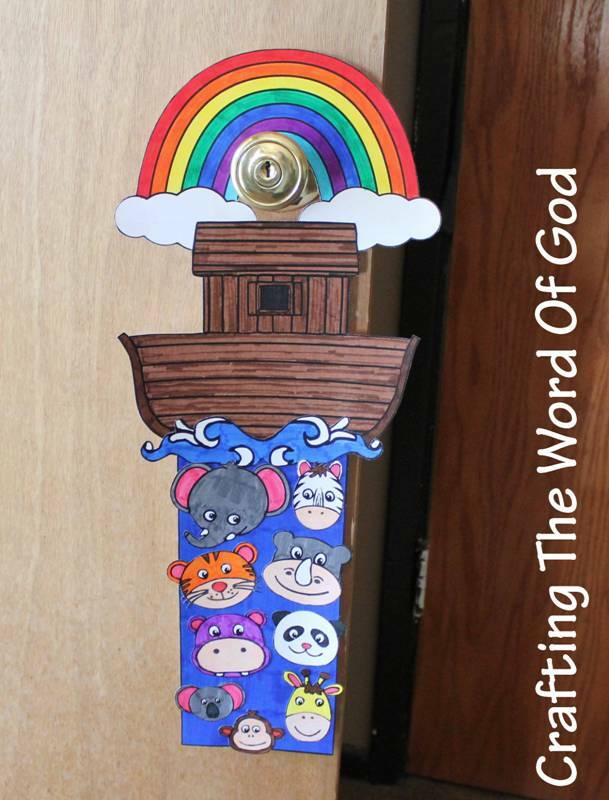 This craft can be used to teach the story of Noah and to help reinforce the fact that God always keeps His promises. Glue cotton balls onto the cloud template. Cut out the rectangle from the template. Trace the rectangle onto six different colors of construction paper. Cut out the cloud and each individual rectangle. Glue the strips of construction paper to the back of the cloud. To hang the cloud on a wall glue a piece of yarn in a loop to the back of the cloud. 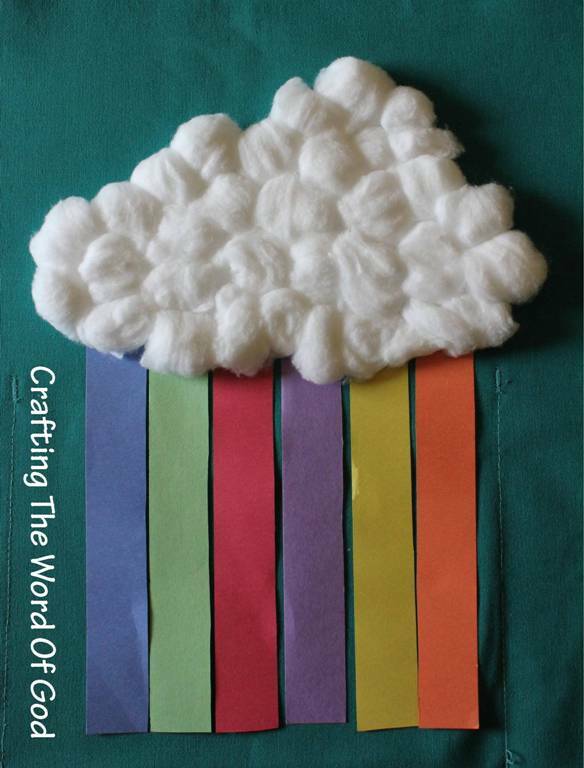 This entry was posted in Bible Crafts, Noah, OT Crafts and tagged ark, bible, bible crafts, cloud, covenant, craft, crafts, God, God always keeps His promises, Noah, promise, rainbow.